Is that a BMW in your kitchen? Recycle in style with this sleek compactor from BMW Designworks. 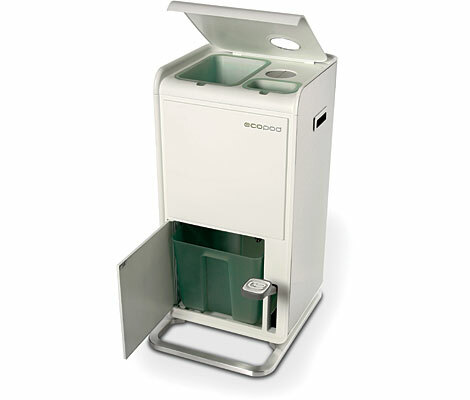 The Ecopod e1 holds about 50 flattened and crushed cans or plastic bottles until the removable bin is placed curbside or taken to the redemption center. The upper compartment has extra storage for other recyclable materials like newspapers and glass bottles. The Ecopod is $328.00 and is available online and soon through Williams Sonoma stores.